The definitive book on ethics for chemical dependency treatment professionals. The treatment of addiction as a biological, psychological, social, and spiritual disease requires a high standard of ethical knowledge and professional skill. 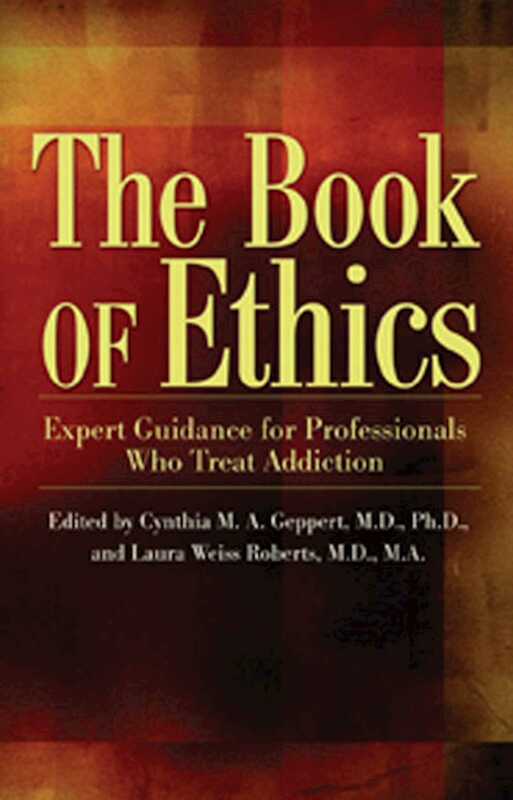 This groundbreaking, reader-friendly guide to contemporary ethical issues informs and challenges health care professionals, students, and faculty with a thorough and compassionate examination of the dilemmas faced when providing care for individuals suffering from substance use problems or addiction.Renowned psychiatric ethicists Cynthia Geppert and Laura Weiss Roberts tackle issues of autonomy, respect for persons, confidentiality, truth telling and non-maleficence--setting the standard for contemporary ethical practices. These challenges are illuminated with real-world case examples that show potential effects on diverse patient populations.